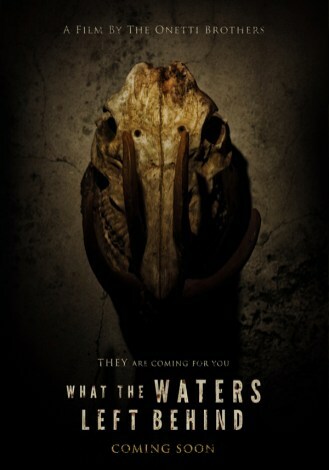 This is a trailer and new posters for What the Waters Left Behind (Los Olvidados). 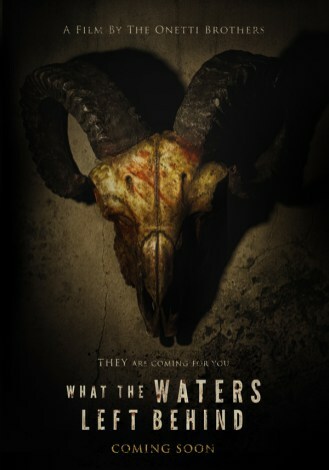 It was written and directed by Luciano and Nicolás Onetti, and stars German Baudino, Paula Brasca, Mirta Busnelli, Victoria D'Alessandro, Damian Dreizik, Chucho Fernandez, and Tamara Garzon. Check out the synopsis and trailer below. "What the Waters Left Behind (Los Olvidados), follows a group of young people that take a trip to the ruins in order to film a documentary about Epecuén. 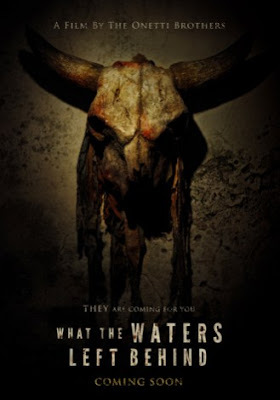 Ignoring the warnings, and after a brief tour, they get stranded in the abandoned village. Contrary to what they thought, they begin to realize that they are really not alone… Epecuén was one of the most important touristic villages of Argentina. Thousands of people concurred, attracted by the healing properties of its thermal waters. On November 10th 1985, a huge volume of water broke the protecting embankment and the village was submerged under ten meters of salt water. Epecuén disappeared. Thirty years later, the waters receded and the ruins of Epecuén emerged exposing a bleak and deserted landscape. The residents never returned."